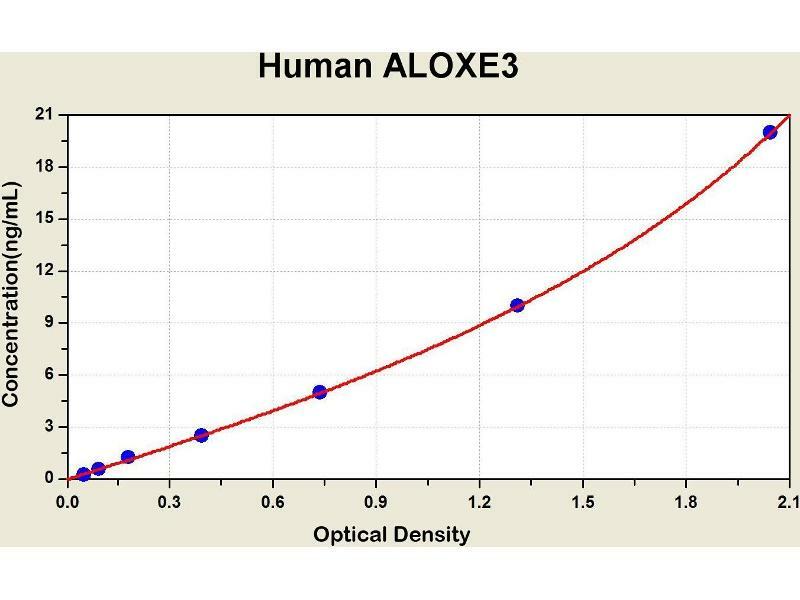 Diagramm of the ELISA kit to detect Human ALOXE3with the optical density on the x-axis and the concentration on the y-axis. This gene is a member of the lipoxygenase family, which are catabolized by arachidonic acid-derived compounds. The encoded enzyme is a hydroperoxide isomerase that synthesizes a unique type of epoxy alcohol (8R-hydroxy-11R,12R-epoxyeicosa-5Z,9E,14Z-trienoic acid) from 12R-hydroperoxyeicosatetraenoic acid (12R-HPETE). 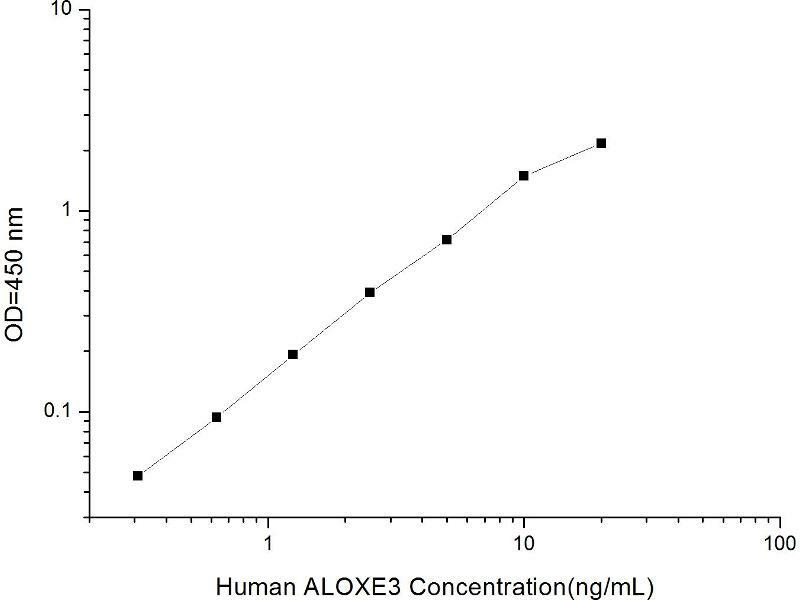 This epoxy alcohol can activate the the nuclear receptor peroxisome proliferator-activated receptor alpha (PPARalpha), which is implicated in epidermal differentiation. Loss of function of the enzyme encoded by this gene results in ichthyosis, implicating the function of this gene in the differentiation of human skin. This gene is part of a cluster of lipoxygenase genes on 17p13.1. Mutations in this gene result in nonbullous congenital ichthyosiform erythroderma (NCIE). Multiple transcript variants encoding different isoforms have been found for this gene.